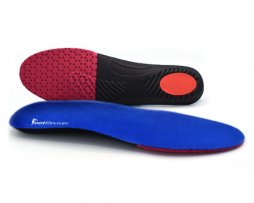 In this article you will find out how using orthotic insoles can help to correct overpronation and supination, plus you will also find out what are the the best insoles to buy for you! Over and under pronation can be corrected by orthotics… But what exactly is meant by pronation of the foot and how does it over or under pronate and does it even matter? This article aims to address these issues. Pronation is the inward “roll” of your foot whilst you run or walk. In other terms pronation is the amount of inward roll that occurs when your foot pushes off after each step. Normal or neutral pronation is preferred and in order to check if you have normal pronation one of the biggest clues is your arch (on the sole of your foot) if you have a normal arch then there is a big chance you have normal pronation (sometimes not always the case). If you have got normal pronation of the foot then you may run best in well supported orthotics. Over and under pronation of the feet can lead to pain in the foot region and the heel as well as site wide inflammation. People who have got flat feet tend to be the ones with over pronation in the feet and are best suited to insoles or shoes that help support the arch of the foot i.e. 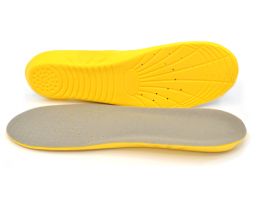 arch support insoles. In contrast to this people who have not got flat feet but the very opposite with high arches are the ones that tend to suffer from under pronation. People who suffer from under pronation are best to buy some shoes or insoles that help to support the arch and foot in a more natural position. – Leg length discrepancy’s (unequal length of the leg). This can be corrected using heel lifts to correct the difference in leg lengths. – Weakening or tightening of the muscles surrounding the arch of the foot. This can be treated by stretching and strengthening the muscles around the arch of the foot. – Poorly fitting shoes that do not give adequate support and positions the foot in unnatural positions where over time can cause damage. – Obesity, being overweight can cause more pressure on the arch of the foot. 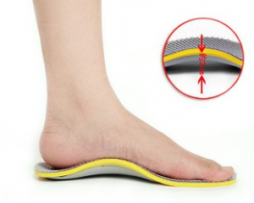 Arch support insoles can be worn to help too support the plantar fascia and the arch of the foot thus reducing over or under pronation of the foot. 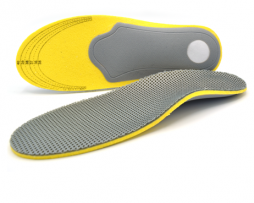 The arch support corrects and supports the natural arch in the foot reducing pain and easing inflammation. 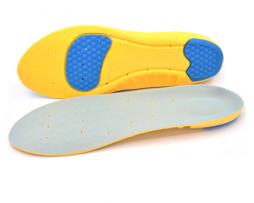 Wearing orthotic insoles with in built arch support is one of the most effective ways of correcting over-pronation and supination when you walk. 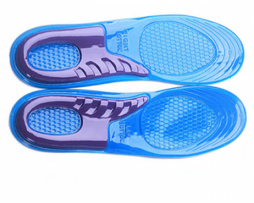 Orthotic insoles are designed to hold your foot in place, realign the positioning of your foot and stop movement which can places excessive strain and pressure on your foot and lower limbs. 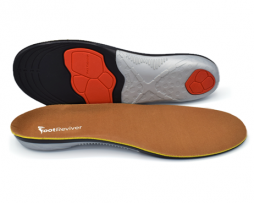 By correcting the way that your foot functions orthotic insoles are ideal for both treating and preventing common foot injuries such as plantar fasciitis, metatarsalgia, foot drop, turf toe, Achilles tendinitis as well as injuries that can affect your lower limbs such as your shins, knee, thighs and lower back. Here at NuovaHealth we have a wide range of orthotic insoles with specially developed orthotic support technology to keep your feet supported, protected and feeling comfortable. 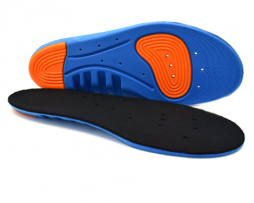 All our insoles come complete with a full 30 day money back guarantee which mean you have nothing to lose if you find that the insoles aren’t right for you.